American Express completely revamped their Gold card last year which resulted in us naming it the most compelling card of 2018. Why? It netted some incredible new benefits like 4x on groceries and dining, monthly dining credits, and airline fee reimbursements. It’s become my go-to card for almost all of my dining and grocery spend, and someone over at Amex must have taken notice. I received an offer to add authorized users to my account. If I do, and they spend $500 in 3 months, I receive a 5k point bonus per additional cardmember, up to 20k total. Add one or more new Additional Card Members to your account through this email and you can earn 5,000 Membership Rewards ® points after each Additional Card Member spends $500 or more in eligible purchases on their Card within their first 3 months of Card Membership starting from the date on which the Additional Card Member is added. The maximum number of Membership Rewards ® points you can earn as part of this offer is 20,000. Additional Cards can be added at different times but must be added by July 14th, 2019 to be eligible for this offer. Purchases made by other Additional Card Members on your Account will not count toward the $500 purchase requirement. Purchases made by eligible Additional Card Members will not be combined to satisfy the $500 purchase requirement. Your purchases as the Basic Card Member will not count toward the $500 purchase requirement. In rare instances, the Additional Card Member’s period to spend $500 may be shorter than 3 months if there is a delay in receiving their Card. Also, purchases may fall outside of the 3 month period in some cases, such as a delay in merchants submitting transactions to us or if the purchase date differs from the date they made the transaction. (For example, if they buy goods online, the purchase date may be the date the goods are shipped). The 5,000 Membership Rewards points will be applied to the Basic Card Member’s American Express account within 8-12 weeks after the Additional Card Member has met the purchase requirement. 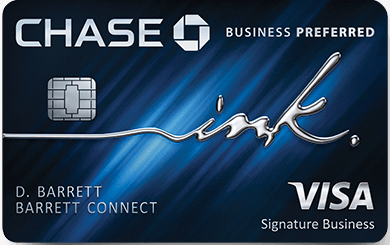 The annual fee for up to 5 Additional American Express® Gold Cards, is $0. 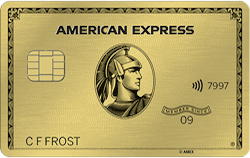 Each Additional American Express® Gold Card after the first 5 Cards is $35. If we in our sole discretion determine that you or your Additional Card Members have engaged in abuse, misuse, or gaming in connection with this offer in any way or intend to do so (for example, if you added one or more Additional Cards to obtain an offer(s) that we did not intend for you; or if you or your Additional Card Members cancel or return purchases made to meet the Threshold Amount), we may not credit Membership Rewards ® points to, we may freeze Membership Rewards ® points credited to, or we may take away Membership Rewards ® points from your account. We may also cancel this Card account and other Card accounts you and your Additional Card Members may have with us. Your account must not be canceled or past due at the time of fulfillment of any offers. Eligible purchases are purchases for goods and services minus returns and other credits. Eligible purchases do NOT include fees or interest charges, purchases of travelers checks, purchases or reloading of prepaid cards, purchases of gift cards; person-to-person payments; or purchases of other cash equivalents. Additional terms and limitations apply. Terms and Conditions for the Membership Rewards® program apply. Visit membershiprewards.com/termsfor more information. Participating partners and available rewards are subject to change without notice. If you click through this email and submit an application, you authorize us to issue an Additional Card(s) on your Account to the individual(s) whose name(s) appear(s) on the application. Additional Card Members do not have accounts with us but can use your Account subject to the terms of the Card Member Agreement, must be at least 13 years of age and never had a default account with American Express. You are responsible for the activity and use of your Account by Additional Card Members. You must pay for all charges they make. What can you do with an extra 20k points? One thing that pops into my head is an Avianca sweet spot for domestic business class when redeemed on United’s transcon liet flat product. United will charge you 35k one way to fly coast to coast in lie flat business class; however, Avianca ( an Amex transfer partner ) will only charge you 20k. Any idea how this would effect the credit score of the AU? For instance if I add my kids? Patrick – the account will more than likely appear on their credit report. Regarding your kids, Amex does require they be over 13, but otherwise, having kids as an AU helps build their credit by establishing history and can help down the line once they’re applying on their own. One negative is if the card you’ve used for an AU is a charge card there is no increase in total line of credit available and whatever you spend shows up on their credit report as well which could lead to higher utilization rates. If it’s a credit card, that limit will deepen their total line and potentially help utilization. Also…AUs can affect Chase’s infamous 5/24 number so be aware of that. AUs don’t count towards amex’s once per lifetime rule tho. Miles, in point 2 of the T&C it references max $25K spend at grocery for the 4X points. Do you think the AU gets their own limit of $25K or it’s just the basic cardmember limit of $25K and if you and 4 AU’s each spend $5K at grocery, that hits the $25K limit? Figured it’s worth asking if maybe you get $125K of max grocery spend in that example. Thanks! LAX-EWR is a poor example to use for redemption. I just looked between now and the end of November and could not find two non stop tickets in either direction for award redemption. Am I missing something?